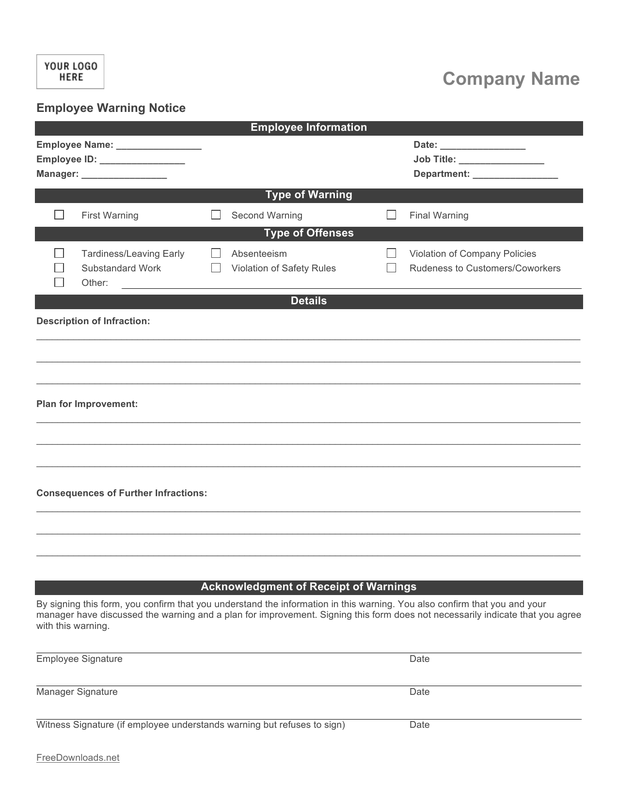 Download the Employee Write-Up Form which is a disciplinary report document used to warn or terminate an employee according to their actions. Generally this is a form that allows the employer to counsel with the employee as well, to provide documentation that the employer has provided ample opportunity for the employee to make appropriate changes in order to remain employed. An employer will usually allow 2 or more write-ups prior to consideration for termination. These documents are usually placed in an employee’s records for further evaluation at a later date. If all of the information will not fit into the block on the form, attach a separate sheet with all information included for the purpose of explanation and legal documentation. If there were other actions taken in the past, in the block to the right of the lines provided, indicate whether or not there were written reports for past incidents by circling yes or no next to each line description. When an employee is accused of an incident, they have a legal right to place a written explanation into their employment record, agreeing to or opposing the accuser’s explanation or simply tell their side of the story. The employee may place their explanation in the block provided – if more space is required – attach a separate sheet to place in the record along with this form.